It seems like Red Bull Racing threatens to leave Formula One at least once a season. When things might not go its way, the team releases a lot of vague threats that they’ll ditch the series. So far, those threats haven’t culminated in anything serious—but Red Bull is back at it again before the 2019 season has even started. So, what is it this time? Red Bull is threatening that Formula One needs to “deliver” in order to keep them competing beyond 2021, according to Motorsport.com. What does that mean? In short, F1 is planning on doing things differently in the future, and Red Bull might catch the short end of the stick. In the past, F1 has had a document called the Concorde Agreement that expires every six to eight years. This document determines the financial arrangements of each team and has, in the past, been slammed for playing favorites. Back in the Bernie Ecclestone years, the Concorde Agreement determined which teams got preferential treatment and thus a lot more money just for showing up. Liberty, F1's new owners, want to scrap the Agreement and develop a new, more equal way forward. 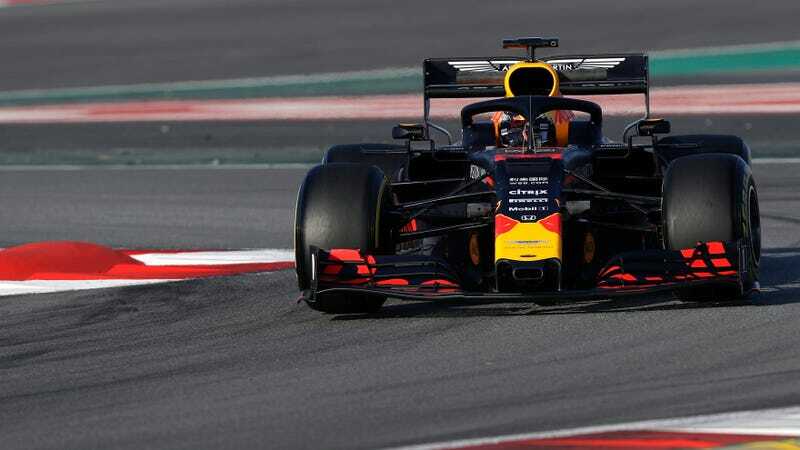 Basically, Red Bull team owner Dietrich Mateschitz and boss Christian Horner have both expressed their belief that requiring teams to compete at the same level wouldn’t be fair because it means they won’t have the ability to spend millions of dollars more than their competition in order to assume their performance edge. Pulling out both Red Bull and Toro Rosso teams—20 percent of the F1 grid—would be their response to that perceived injustice. Red Bull isn’t new to the game of threats. They’ve threatened to pull out of F1 due to: the proposed 2019 rule changes, Daniel Ricciardo’s disqualification from the Australian Grand Prix, Renault denying them engines, Honda making them a faulty engine, and for not having the option to choose an independent engine manufacturer. Remind me if I’m missing anything here. It would be a tragedy for F1 if one of its most popular and competitive teams were to withdraw, but this threat of quitting has come so many times that it’s difficult to believe.